Although the Super Bowl occurred just a few short days ago, distance running enthusiasts know that the real nationwide athletic attraction of early February this year is the Olympic Marathon Trials, being contested in Los Angeles, California on Saturday morning. Trials fever has settled over the Pacers/GRC–New Balance family, as we've watched our qualifiers conquer long workouts, endure longer runs, battle plunging winter temperatures and Snowzilla-related training adjustments, and achieve PRs on both the roads and the track, all of which are noteworthy accomplishments in and of themselves but have only been intended as preparation for the more important day that lies ahead. The entire team has been working hard to do its part to help the qualifiers out in various ways, such as jumping in to take on the pacing burden of a long track workout, planning a visit to Hains Point to help battle headwinds (and simultaneous tailwinds, typically) on a tempo run, or just keeping everyone distracted during mind-numbing long runs with endlessly entertaining and hilarious stories, in classic GRC fashion. The qualifiers have been the ones doing the hard training but the team is just as excited to see some of its own toeing the line with the nation’s best. The US will bring the top three finishers in both the men’s and women’s Trials races to Rio to compete for Olympic glory. In the women’s race, there are two heavy favorites to make the Olympic team, Shalane Flanagan and Desi Linden. These 2012 Olympic marathoners have qualified for this race with times of 2:21:14 and 2:23:54, respectively. 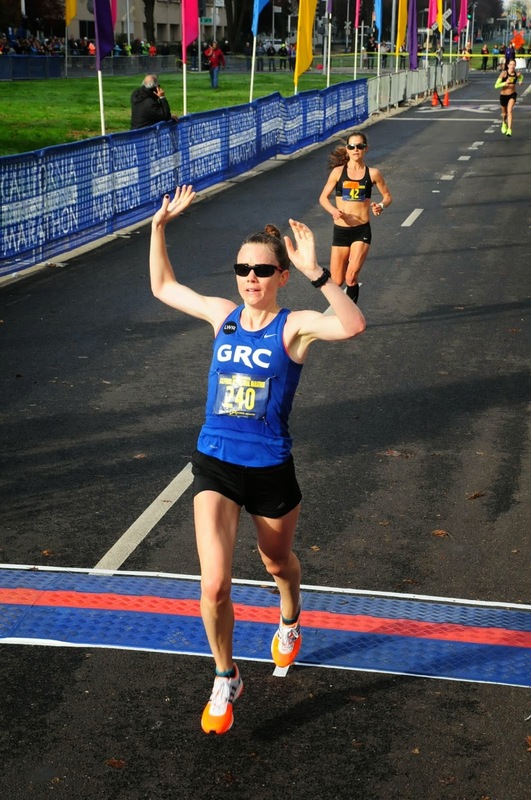 Flanagan's training partner Amy Cragg owns the next fastest qualifying time, having run 2:27:01 in 2014, and there are a large number of women who have run around 2:28, including quasi-local Stafford, VA resident Serena Burla, who all have a chance to break into the top 3. The men’s side is not quite so locked in, but 40-year old veteran Meb Keflezghi is a favorite, with a qualifying time of 2:08:37, along with injury-plagued Dathan Ritzenhein, who finished in fourth place in the 2012 Trials and enters this year's race with a qualifying performance of 2:09:35. Don't count out Luke Puskedra, who ran 2:10:24 in Chicago last year, and the infamous Galen Rupp, who will be making his marathon debut. 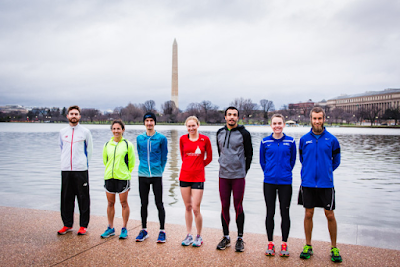 The Pacers/GRC–New Balance team boasts three athletes in the race: Teal Burrell (who qualified with a 2:42:13 performance at California International Marathon in December 2014), Emily Potter (qualified with a 2:42:56 marathon in Edmonton in August 2015), and Kieran O’Connor (qualified with a half marathon performance of 1:04:40 in Philadelphia in October 2015). This will be the third Trials for Emily, but both Teal and Kieran will be racing this high caliber event for the first time. Teal, who also can be known as the Queen of Beach Drive, has been preparing for this race for years. Never one to be satisfied with anything less than the lofty goals she sets for herself, she is laser focused on the Trials after she did not quite run as fast as she believed she was capable at the Jacksonville half in early January, even though she still nabbed a big PR of 1:18:55. 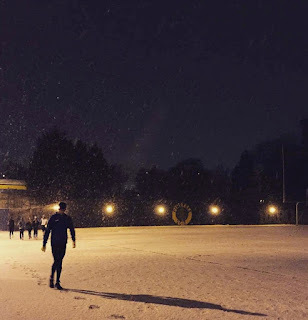 Although winter training has not gone as smoothly as she'd prefer, due to pesky weather and precipitation snags necessitating some rearranging of runs, she's been hitting PRs left and right in workouts and is primed for another PR in LA. Emily is a Trials veteran, and will look to improve on her 40th place finish from 2012. 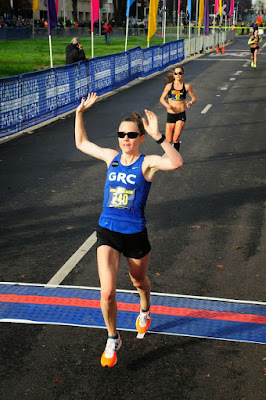 She has been racing her face off over the past few months and has been turning in some impressive times as well as showing incredible speed and range for a marathoner. Although she'll be without her typical training partners, young daughters Evelyn and Adelaide, who ride along in the jogging stroller daily without protest, she will be right at home on yet another starting line. Brand new father Kieran will be taking a break from diaper duty to take to the streets of LA. He has been pushing through extremely difficult workouts with ease, such as ten miles on the track in sub-5 minute pace, and according to Coach Jerry, "he's in way, way better shape now than he was when he ran his qualifier in Philly, so he's ready to run a giant marathon PR." Be sure to look out for his equally giant beard in LA. For further background reading, be sure to check out this RunWashington article, written by the GRC's own Dickson Mercer, covering this year’s local Trials qualifiers. Another great read is Teal’s blog, Miles to the Trials, where she chronicles her amazing progression from a marathon novice with a dream to a national class athlete, and will make you laugh, cry, squeal, gasp, and decide you also are ready to shoot for the Trials yourself after reading her candid and heartfelt writing. The marathon will be broadcast live on Saturday from 1-4 pm ET on NBC. This is a big deal! They probably had to put a European soccer game on another one of their channels or something. The men's race goes off at 1:06 pm with the women following at 1:22 pm. It will also be streamed on NBC Sports Live Extra to appease those millennials who don't own a TV. Our racers will all be sporting unique New Balance race kits for the occasion rather than the familiar GRC royal blue. Look for all three of our racers to be wearing navy and red tops with bright red shorts. With an out-and-back, looped course, and races being contested concurrently, we are expecting to see all three of our racers during the broadcast. The course begins with a 2.2 mile loop and then settles into a series of a six mile loop run four times, which will make for easy spectating as well as hopefully providing a surprise-free run for the marathoners. Although flat, the course is not expected to be extremely fast due to the numerous sharp turns. We can't wait to see what our inspiring trio will achieve in LA! Be sure to also follow along in one of the below sources for up to the minute results. 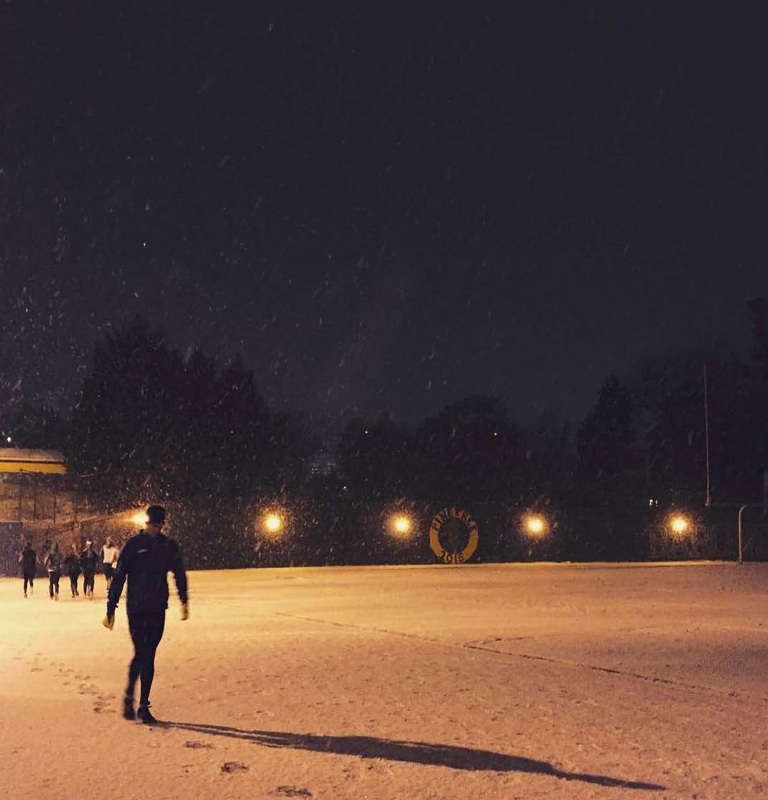 Live tracking of the race will be hosted by FloTrack. We're still unsure exactly how this will play out, so check back here for updates. Teal's husband, Rusty, is well known in running circles for his live tweeting prowess. Follow along @rustabust as he spectates the race in LA. A quick disclaimer that this is not an official running account and there is a good chance that you'll also get to read multiple tweets relating to home brewing and DC sports teams, Rusty's other passions, but who would say no to that! Another option is of course @GRC_Race_Team on Twitter, as well as the newly launched @grc_running on Instagram, both of which we can't necessarily confirm that we'll be updating with zest and vigor, but you never know! And we'll be posting live splits here on the blog, if social media sometimes confuses you. You're not alone!